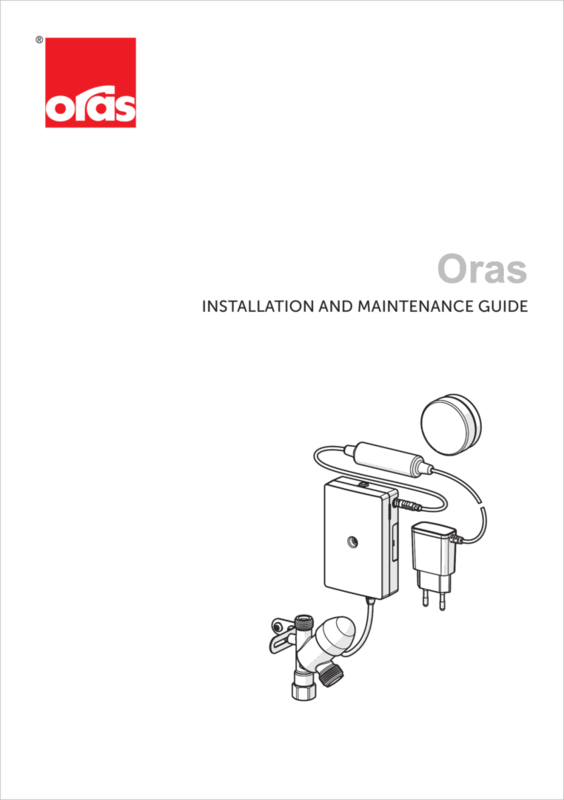 Oras remote valve for dishwasher or washing machine. The product consists of Smart Press Pad, control unit and electronic valve. Valve’s open duration is preset to 4h. Battery operated (3 V).